Around 23 million years ago, the Antarctic Ice Sheet started to shrink to about half of its modern size. Although computer models showed that an increase in CO2 levels could be the reason, the evidence remained elusive until now. Ancient fossilized leaves were taken from a lake bed in New Zealand, which reveal that CO2 levels increased over a comparatively short span of time as the ice sheet started to deteriorate. This new evidence highlights new questions about the current stability of the Antarctic Ice Sheet because of the alarming rise in atmospheric CO2 concentrations never witnessed by human beings. The research findings have been published in the Earth and Planetary Science Letters journal. We see here that when the Antarctic ice sheet starts deteriorating, it is not that easy to get it back. Some models have shown that, at the rate we're going right now, the Antarctic Ice Sheet might reach a critical tipping point and start reducing the extent of ice very quickly. We see here that that has happened in the past. A 100,000-year period at the transition between the Oligocene and Miocene epochs was analyzed by the researchers. The Antarctic Ice Sheet was roughly 125% larger in the beginning of that period compared to its present size. Towards the end of the study, the size of ice sheet was around 50% smaller that it is today. Study results show that the atmospheric CO2 levels started to rise just before the ice sheet began to deteriorate. The atmospheric CO2 levels rose from about 500 ppm to between 750 and 1550 ppm within a span of 20,000 years. Although the CO2 levels dropped to about 425 ppm later, scientists say that positive feedback loops continued to coerce the melting. This is the first time we have found evidence that CO2 fluctuations of this magnitude can happen on relatively short time scales. Recently, the atmospheric CO2 level crossed 400 ppm and is still increasing. Reichgelt said that the cause for the increase in CO2 level around 23 million years ago is still not known. The cyclical changes in Earth's orbit has coincided with the glacial periods, and one of the theories state that the organic materials that piled up in the Southern Ocean might have led to quick oxygenation, and hence must have released CO2 in large amounts. In order to obtain insights from the past, the scientists studied sediment cores from the bottom of an ancient lake located in New Zealand's South Island, which was the ideal place to preserve proof of climates past. In the past, Foulden Maar was a subtropical area that was humid and surrounded by a diverse rainforest. The lake used to be deep and created low-oxygen conditions at the bottom of the lake. These conditions helped to preserve the forest leaves that fell in and sank. Researchers were able to clearly see the shape, size and number of the leaves' stomata in those now-fossilized leaves. 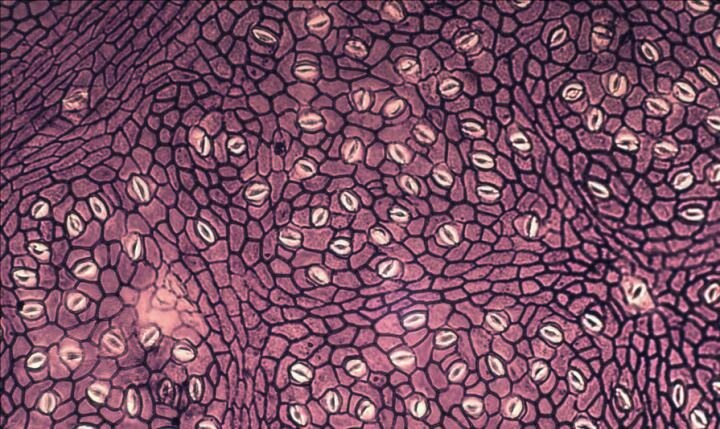 Stomata are the openings through which leaves breathe in CO2 and release oxygen out. The stomatal data along with the carbon isotope composition of the leaves provided the atmospheric CO2 level estimates for the period 23 million years ago. Other studies conducted recently show that Antarctica might be more sensitive to CO2 level changes and also to lower CO2 levels than predicted. An international team of scientists working with an ice sheet modeling and a sediment core from the Ross Sea off Antarctica discovered that Antarctica used to be highly sensitive to CO2 level changes during the early and mid-Miocene. They also found that when the atmospheric CO2 crossed 500ppm, the ice retreated far inland. D'Andrea noticed that in the new study, even the lowest end of the CO2 levels of around 750 ppm, seems to be more than enough to destabilize the Antarctic Ice Sheet. Prior to this study, it was unclear if atmospheric carbon dioxide increased during the termination of the Miocene Mi-1 glaciation, a factor critical to ending glaciations. This new study will provide Earth scientists new information to study this glaciation and provide a new framework to approach other glaciations and events in Earth's past.